Intel's upcoming Z390 chipset could be just a rebadged Z370 if the grapevine on the street is to be believed. The Z390 was expected to bring support for the 8-core 'Coffee Lake-S' CPUs along with an integrated USB 3.1 Gen2 Host Controller and Intel Wireless 802.11ac with Bluetooth 5.0 but it looks like Intel had a change of heart owing to increased strain in 14nm production. 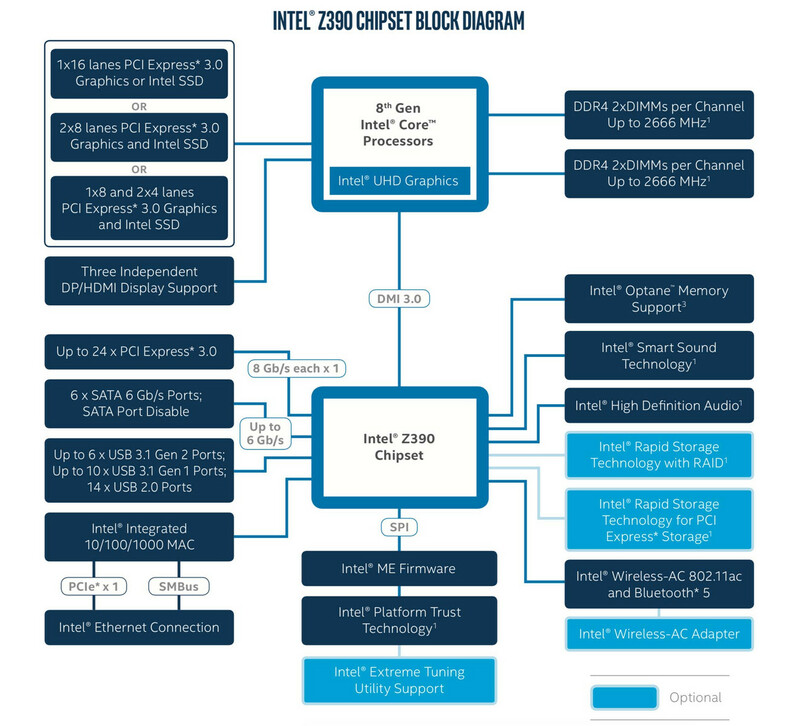 Intel could be looking to rebadge the existing Z370 chipset as the Z390 in lieu of developing a totally new architecture according to a report by Benchlife. Thus, the Z390 might not see major differences from the Z370 apart from support for Intel's upcoming 8-core 'Coffee Lake-S' chips. 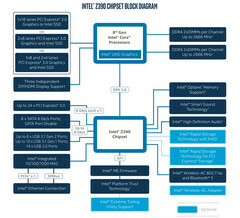 The hallmark features such as the integrated USB 3.1 Gen2 host controller and integrated Intel Wireless 802.11ac with Bluetooth 5.0 support will apparently not make it to the Z390 as it will continue to be a 22nm part unlike a 14nm part as was thought earlier. We've been hearing about the Z390 for quite sometime now thanks to news of Intel's impending 8-core 'Coffee Lake-S' launch. A new chipset was speculated to be on the anvil to satisfy the additional electrical lane requirements of the new 8-core CPU. In addition to bringing support for 8-core 'Coffee Lake-S' chips, the Z390 was also expected to bring an integrated USB 3.1 Gen2 host controller and onboard Intel Wireless 802.11ac support with Bluetooth 5.0 to free up more PCIe lanes. However, this meant that the chipset would have to transition to a 14nm process to accommodate these components. Intel almost made the Z390 official ahead of Computex 2018 but the page has been taken down recently. It is being learnt that the reason for Intel simply rebadging the Z370 as the Z390 could be that the Z390 will continue to be on the 22nm process as the Z370. Intel is facing issues with 10nm production, which is apparently putting a lot of strain on their current 14nm production process, which has already started production for the Intel C246 chipset catering to the 8th generation Xeon platform. Except for the Z370, all 300-series chipsets such as the B360, H310, H370, and Q370 are being made in the 14nm process. The production of the H310 has also been temporarily suspended to help in streamlining the 14nm pipeline and is expected to resume sometime in July. Therefore, while the Z390 might lose out on some purported integrated features, third-party controller manufacturers like ASMedia will stand a lot to gain as they can introduce some neat differentiations that go well with the new chipset. It remains to be seen what unique features motherboard OEMs can bring to the table once the Z390 chipset becomes mainstream.